On the last day of September no less. Apple is widely expected to ship OS X Yosemite in October, as we as updated Macs and iPads. While we don’t have a date for that, the Cupertino, CA company has taken a concrete step toward shipping OS X 10.10 by seeding Yosemite gold master to developers. So developers, developers, developers fire up the Mac App Store app and click updates (Command + 5) to find OS X Yosemite Gold Master (14A379a). Though more new will certainly be uncovered as Yosemite Gold Master testers dig through this seed, two things immediately stand out: 1.) 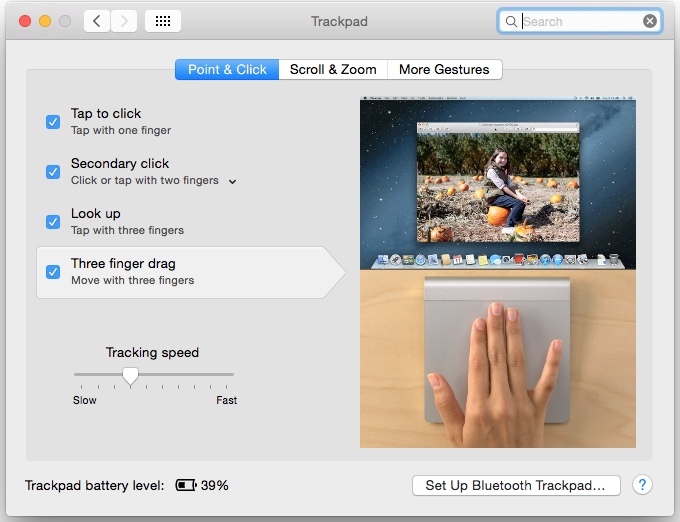 the Trackpad instructional videos inside System Preferences > Trackpad have been updated for OS X 10.10 and 2.) Yosemite Gold Master includes a patch for the most common variant of the Shellshock Bash bug vulnerability. For what it’s worth, Apple delivered Shellshock Bash Updates for OS X Mavericks, Mountain Lion and Lion. 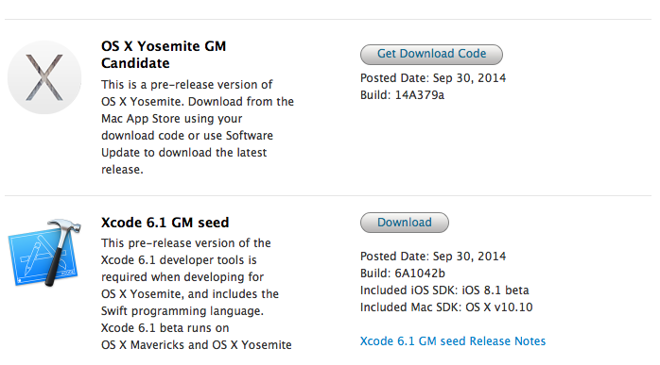 Apple is also seeding Xcode 6.1 Gold Master to developer. For the uninitiated, Xcode is Apple’s integrated development environment for both OS X and iOS — important stuff! Also, members of the company’s AppleSeed public beta testing team have received invitations to download OS X Yosemite Public Beta 4 (14A379b). What is the difference between the Gold Master’s 14379a and Public Beta 4’s 14A379b? A good question and, if you know, please share!